Wreaths: Our wreaths are made with a variety of types of tree clippings, mostly Fir branches with White Pine mixed in.We offer sizes ranging from 12in in diameter up to 36in. Garland: Our Garland is made of Fir or Pine branches and comes as a 50ft rope. 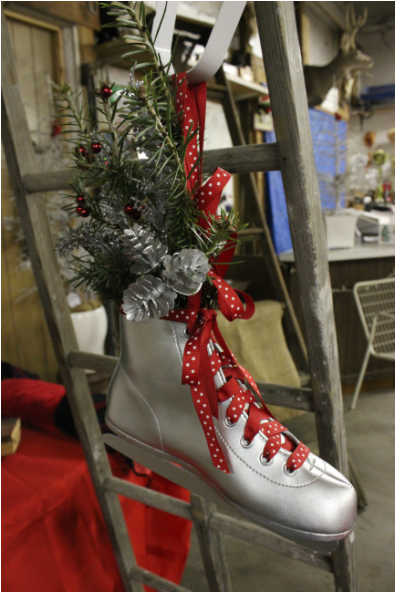 Other Holiday Decorations: We sell Holiday Hangers (pictured right), which offer a unique alternative to a traditional wreath. Also available: decorated vintage sleds, holiday porch pots, etc. After finding your perfect tree outside, step into our heated gift shop to warm up and look around. 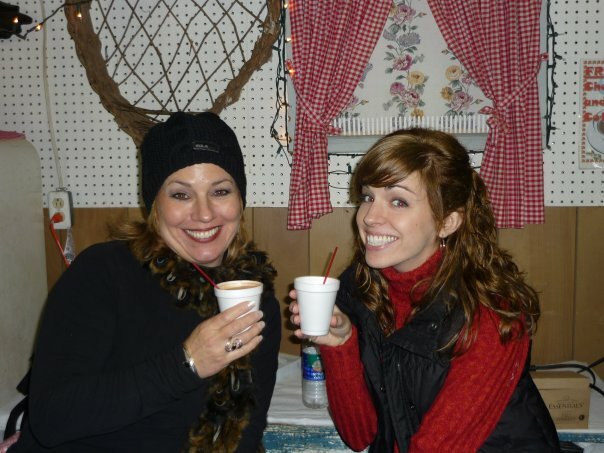 We offer free hot cocoa and coffee that goes excellent with our home baked chocolate chip cookies for sale! Browse our selection of ornaments, bows and other gifts. 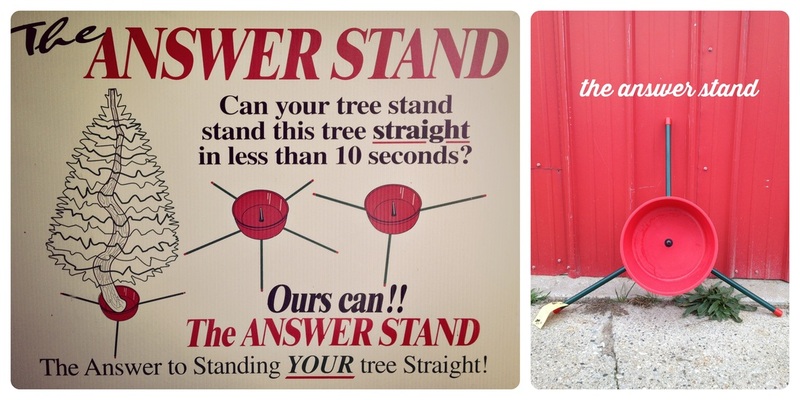 The "Answer Stand" is the last stand you will ever need! No more twisting, propping, or squinting to see if your Christmas tree is standing straight. With a variety of different size stands we have one to hold all sizes of trees from 6ft to 14ft tall. Tree Removal Bags: are also for sale to help keep all those needles from getting everywhere when you remove your tree.